Objective: To be able to describe the main types of cloud and be able to estimate the extent of cloud cover. b. How watch the video 'How do clouds form?' 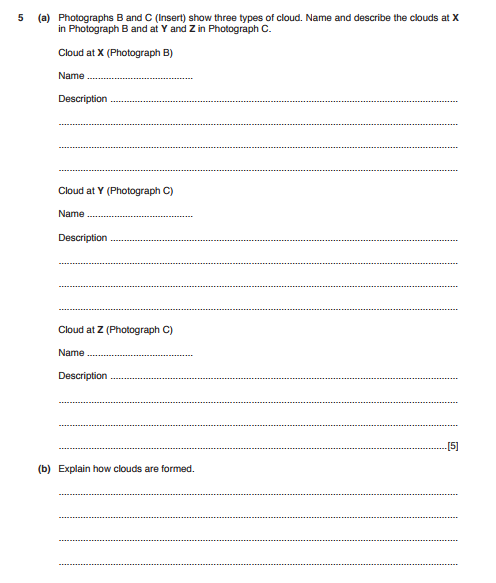 below and write a description of cloud formation in no more than 50 words on your Task 1 worksheet. c. Why are clouds white? - Click here to find out. d. Click here to be taken to the Met Office page on cloud formation and scroll down to the section entitled 'What causes clouds to form?' - Take notes on your worksheet on the 5 main ways that clouds can form. 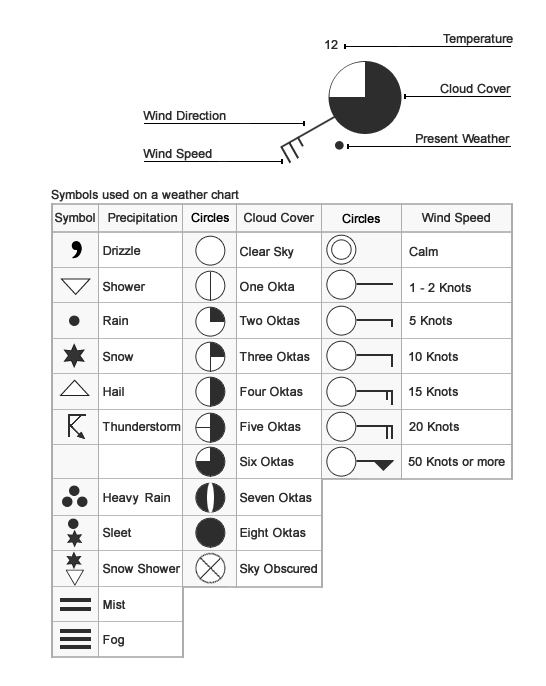 You are going to be producing a fact sheet that details each of the main types of clouds and the associated weather conditions. Use the links below and the worksheet (below) to complete this task. Meteorologists use a special scale to measure the amount of cloud cover at any one time in any one place. Using the information below (click to enlarge), complete the worksheet and the task below. How does this look in an IGCSE Examination? ?